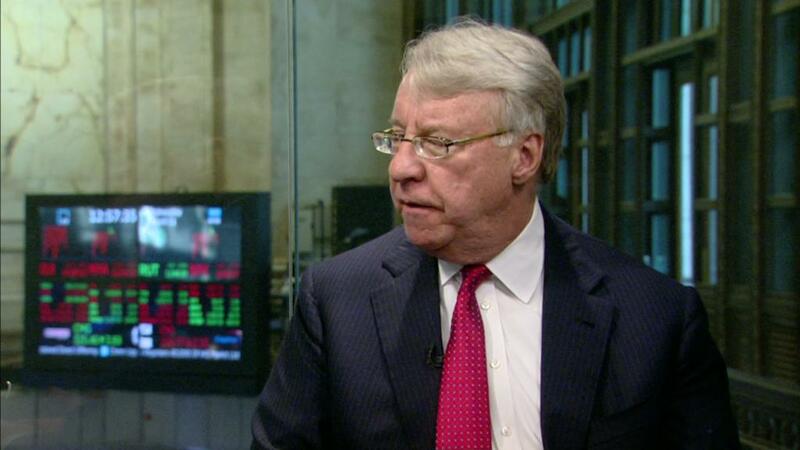 Famed investor Jim Chanos doesn't see any opportunity for American CEOs in China. In a conversation with Maggie Lake on CNNMoney's "Markets Now" show Wednesday, Chanos said that "every CEO since 1848" has pointed to China as a promising market. "It seems that everybody loves the Chinese market," he said. "But nobody ever makes any money there." He didn't mention that many major American companies -- including Apple (AAPL), Boeing (BA) and GM (GM) -- generate billions of dollars of revenue every year from selling their products in China. Chanos, the founder and president of the hedge fund Kynikos Associates, is known for short selling, or betting that stocks will fall, and has warned against China's debt-fueled economy for years. He still sees debt as China's biggest obstacle. "The trade spat that's brewing between the US and China isn't going to help matters," he said. "But the real problem in China is not trade." China has "to continue to grow their debt to basically grow their economy, and this is problematic," Chanos explained to Lake. In the past, Chanos has taken big negative positions on energy and commodity companies that rely on China. On Wednesday, Chanos warned that problems in the Chinese market could have a serious ripple effect. "If China downshifts its demand — for copper, for iron ore, for things like that — you're going to have problems in Africa, in South America, Australia." Investors should be wary of jumping aboard the Chinese internet company "craze," Chanos added, with companies like Alibaba (BABA) and Tencent (TCEHY). "There's accounting issues there, there's corporate governance issues there," he said. The share price of Tencent, which owns the popular mobile app WeChat, has surged more than 80% this year. That has put its market value above $500 billion, overtaking that of Facebook (FB). Shares in Alibaba, China's biggest e-commerce company, have gained nearly 60% over the same period, giving it a market value of around $450 billion. Other investors have also warned previously that they think Chinese tech stocks are too richly valued. "I would just caution people," Chanos said. "Be careful." "Markets Now" streams live every Wednesdays at 12:45 p.m. ET. You can catch the 15-minute program, hosted by CNN's Maggie Lake and CNNMoney's editor-at-large Richard Quest, at CNNMoney.com/MarketsNow from your desk or on your phone or tablet. Interview highlights will be available online and through the Markets Now newsletter.